More connectivity features allow you to multitask on-screen or game without interruption. View applications between two PCs simultaneously on your screen and manage the content with only one keyboard and mouse. Your Dell UltraSharp 34 Curved Monitor – U3415W is designed to be pixel perfect. That’s why if you find even just one bright pixel, we’ll replace it under our Premium Panel Guarantee1. Should you need help down the road, this high-performance monitor also comes with a 3-year Limited Hardware Warranty and 3-year Advanced Exchange Service2. Enjoy hassle-free convenience as you update your monitor’s firmware with the new Firmware Update Utility software. 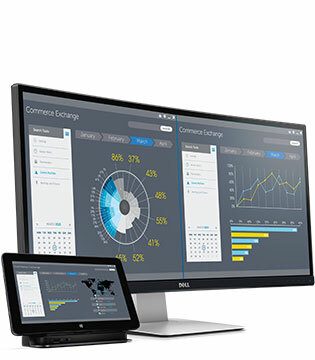 The Dell UltraSharp 34 Curved Monitor – U3415W meets the latest regulatory and environmental standards. Made with eco-friendly materials, the U3415W is BFR/PVC-free (excluding external cables) and has an arsenic-free glass and mercury-free LED panel. Enhanced power management with PowerNap dims the monitor to the minimum brightness level or put it into sleep mode when it is not in use. Complete your experience with accessories designed to make the most of your Dell UltraSharp 34 Curved Monitor - U3415W. 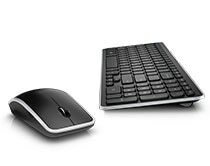 Create a cable-free desktop with a high-performance keyboard featuring scissor-chiclet keys and a Windows® 8 laser mouse. 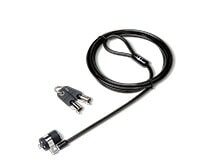 Secure your monitor with a super-strong, carbon-tempered steel cable lock that easily attaches to your monitor’s standard security lock slot. 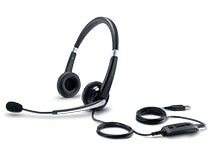 This comfortable headset features superior sound clarity for conference calls, live presentations and multimedia applications. Because it is backed by a 3-Year Limited Hardware Warranty and Advanced Exchange Service2, you can purchase your Dell UltraSharp 34 Curved Monitor – U3415W with confidence. The Dell Premium Panel Guarantee1 allows a free panel replacement during the Limited Hardware Warranty period even if only one bright pixel is found.